Continuing every month, we are bringing and promoting top-notch quality products. 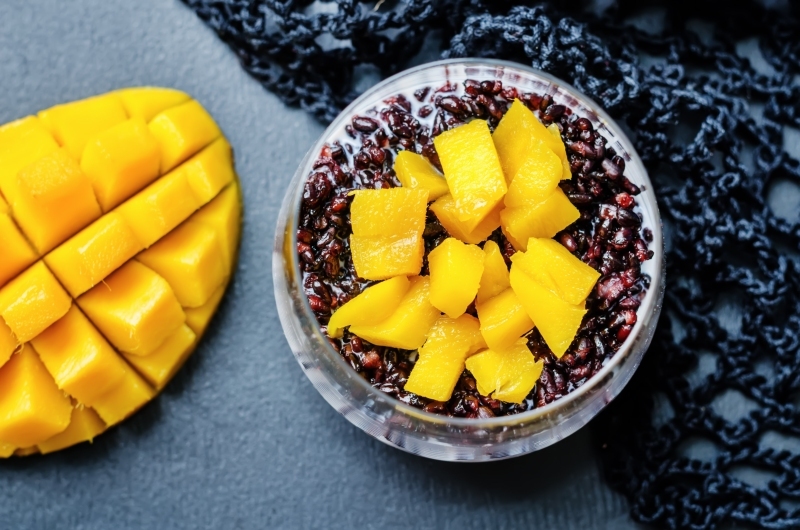 This month, we fall in love with our mangoes. Underneath the yellow skin of Manila mangoes, you will discover sweet and creamy yellow flesh with a buttery texture. This mango variety is usually orange-yellow hue when ripe; on a few occasions, the skin can turn pink. There are 2 simple ways to consider when selecting a Manila mango, by appearance & texture, and smell. Lightly squeeze Manila mango with your palms. The flesh of the mango should yield. Smell the mango around the stem area. The taste of the mango is closely related to its smell. Avoid Manila mango that has the sour and alcoholic scent. This indicates that the mango is over-ripened. Avoid Manila mango with soft spots or bruises. 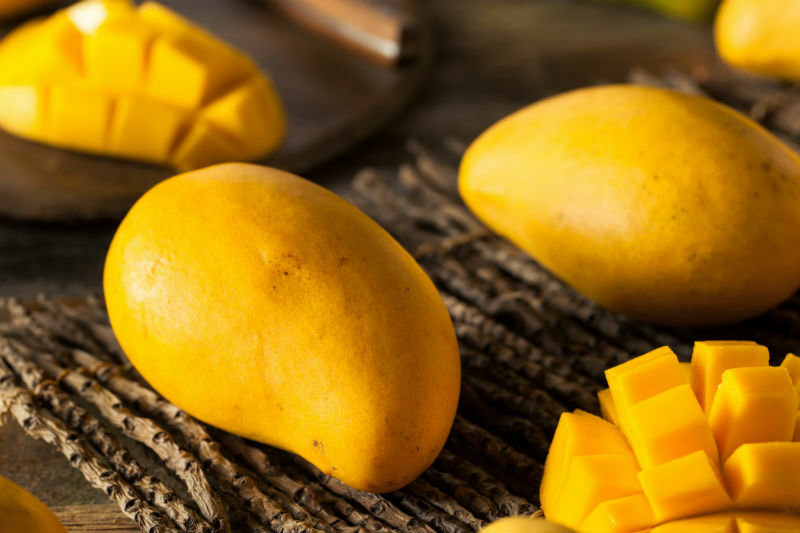 Similar to other soft-textured fruits, Manila mango continues to ripen after you brought it home. Putting the mango in a brown paper bag speed up the ripening process. Once your mango is ripe, our suggestion is to eat it. If it must be, you can put it in a refrigerator for a couple of days. The flesh of Haden mango is quite smooth with a custard-like texture. It has very little of the fibre you find in other mango varieties. The taste of Haden mango is absolutely delicious. Once ripe, the mango is very sweet. Haden mangoes also release an amazing tropical fragrance. Haden mangoes start out with green and red colours. Once it’s starting to ripen, the green colour will slowly turn into yellow. On your visit to Kin’s Farm Market for Haden mangoes, use your palms lightly squeeze the Haden mango to see if the mango is ripe. The flesh of Haden mango should be firm, yet, yield when gently pressed. 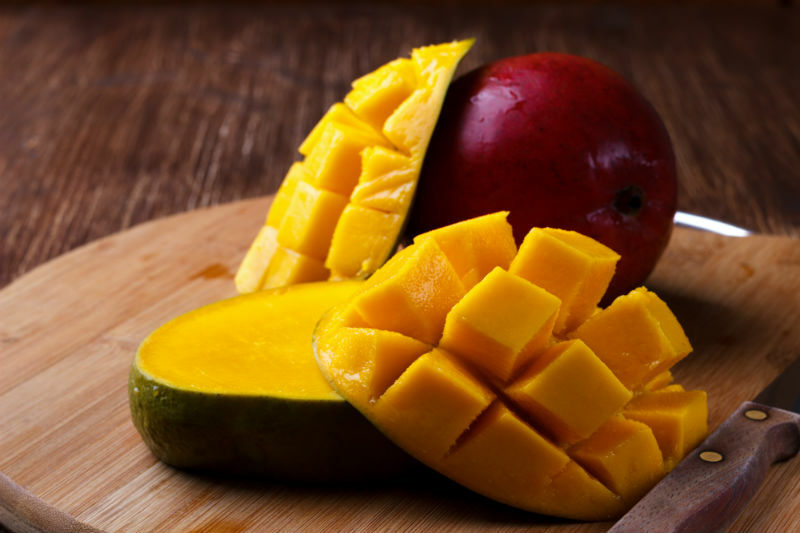 We highly recommend storing mangoes in room temperature until they are fully ripe. Storing Haden mangoes in the refrigerator will interfere ripening process and the mangoes will not be ripened properly. You can put Haden mango in a paper bag to hasten the ripening process. Enjoy FRESH mangoes from Kin’s Farm Market any day in April. Use them in something incredible and share with us on socials using #TryItAtKins. We may feature your ideas on our social media.